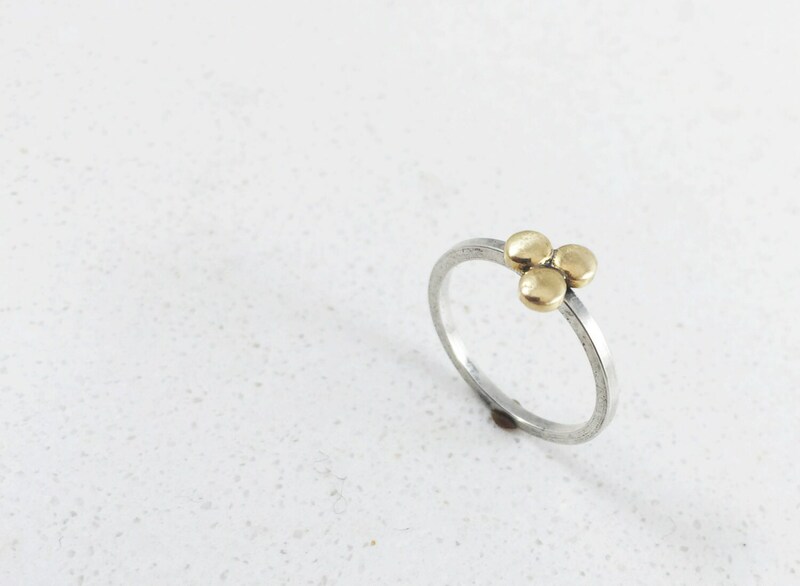 Sterling silver ring with three dot brass detail. Band is sterling silver square wire. Looks great alone or stacked with 2 or 3. Want a size you don't see here? Shoot me a message and I'll make it for you!